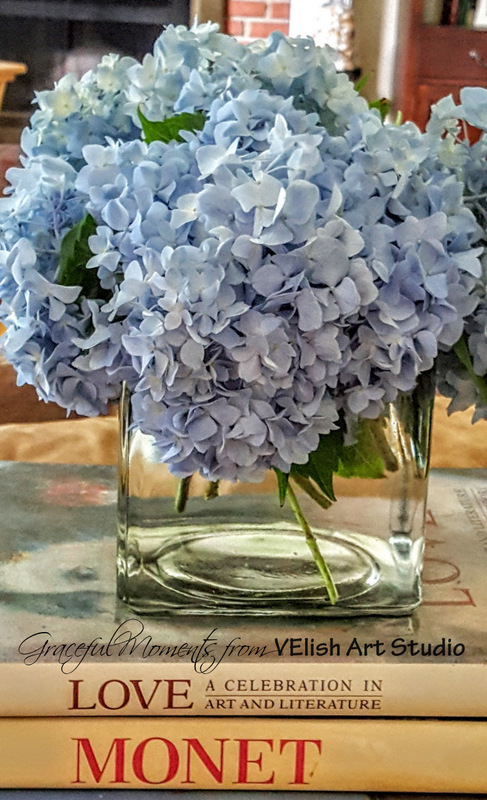 Hydrangeas – How I Love Them! It is hard to believe that I haven’t posted since Easter! Where does the time go? I guess we’ve been busier than I thought with life stuff. That is the way it goes sometimes. 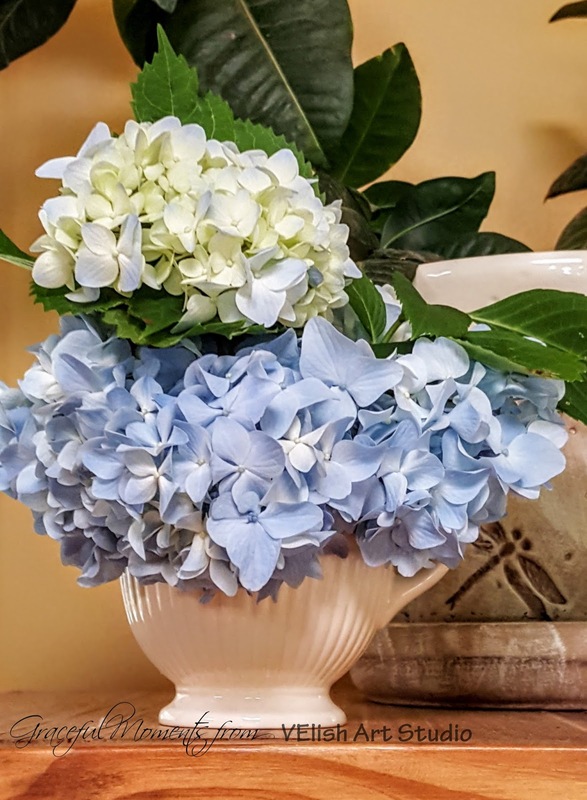 Do you love hydrangeas? I sure do. They are one of my very favorite flowers. 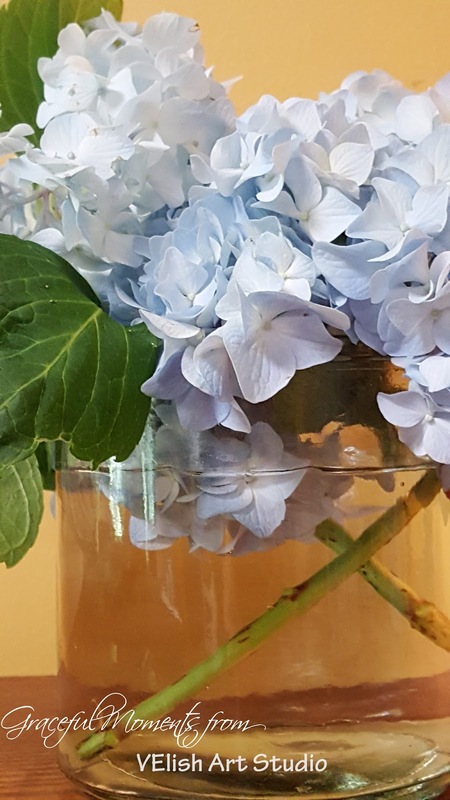 It takes only one or two to have a really beautiful arrangement and they just scream summer! 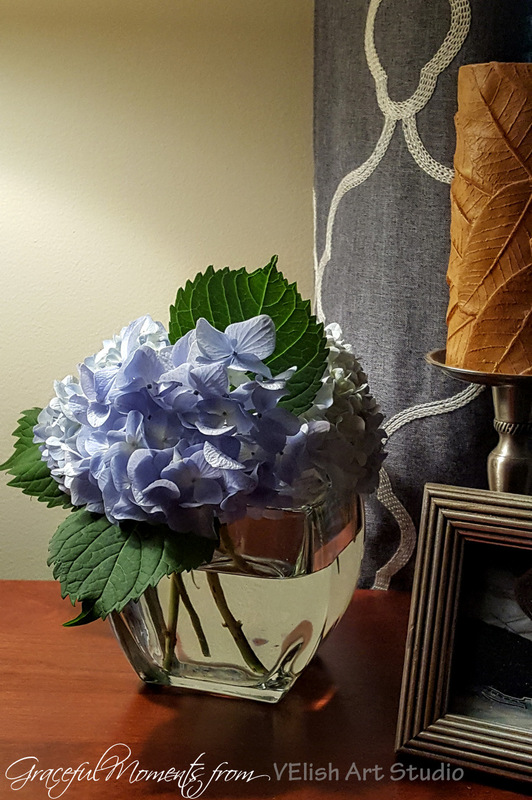 They also remind me of my grandmother Effie Ellington who always had beautiful hydrangeas. 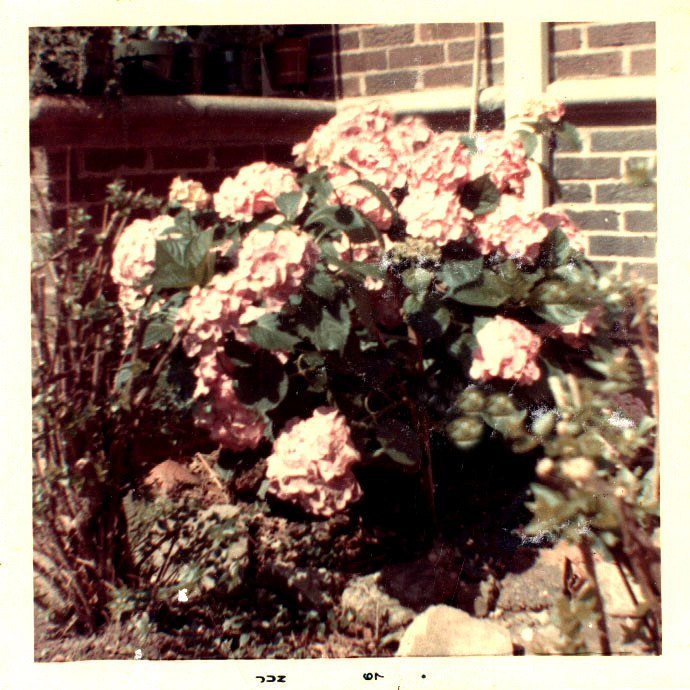 I found this old photo of one of her hydrangeas from 1967. Not a great photo but you get the idea. Last year the two hydrangeas at our current home did not produce a single bloom. They had been neglected, along with the rest of the yard, during the two years before we came here. I am happy to report that one of the two produced a plethora of blooms this year. Hopefully, due to my nurturing and prodding. 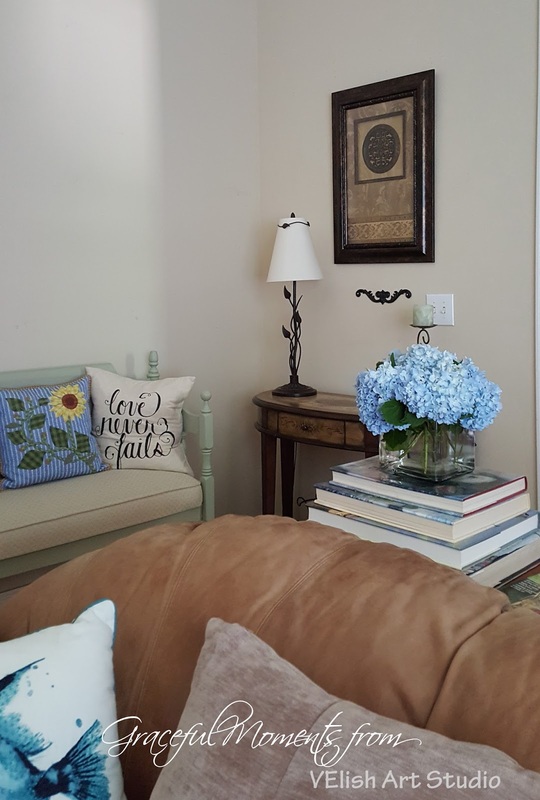 Here are a few photos of hydrangeas everywhere around our house. I love a house filled with flowers. Don’t you? I do love a house filled with flowers-it seems to make the house happier. Your pictures are beautiful, as always! Love to you! Thank you, sweet Debra! Hope you are doing well. Love to you!